Single use canning lids are obviously limited in their use. I mostly use them for storing dry goods after canning. 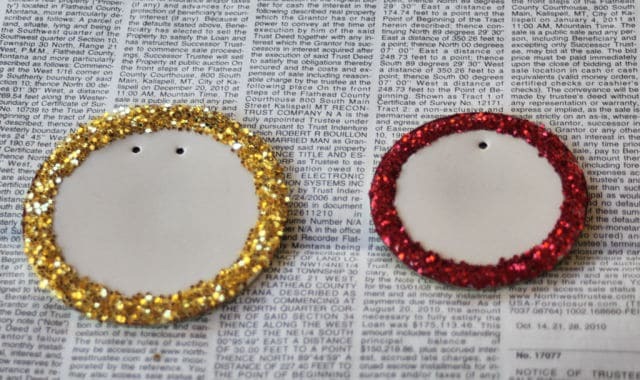 However, they also make for delightful upcycled canning lid gift tags. 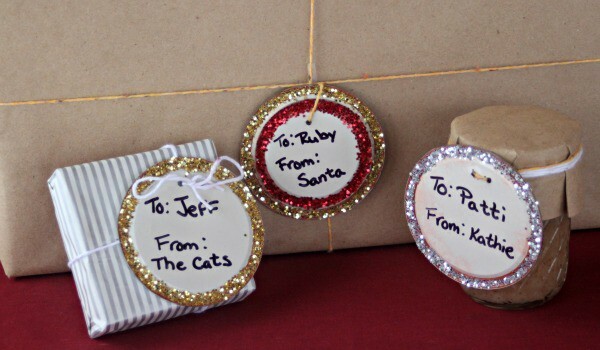 These simple tags add dimension to gifts while allowing us to use up those single use lids in a fun and easy way. 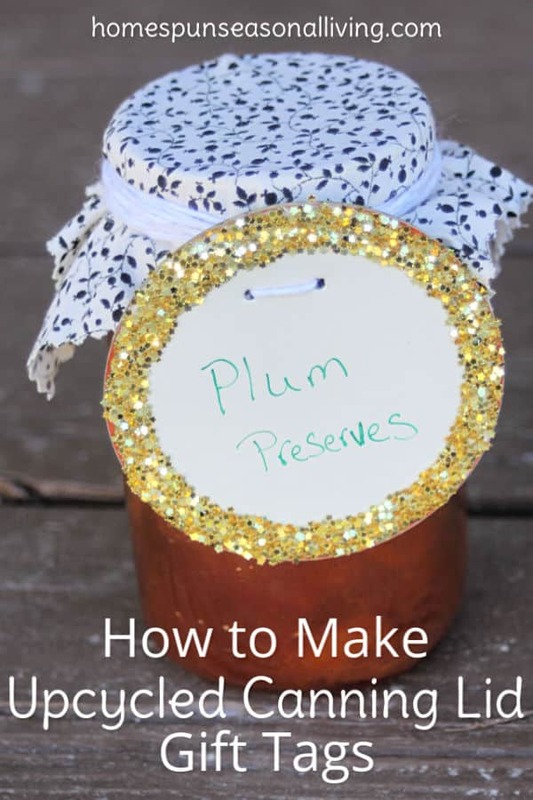 This is such a simple project and a delightful one at that for adults and kids alike. You could use most anything to decorate the rubber edge of the canning lids, use whatever you fancy. Glitter was easy and I happened to have some on hand but confetti, heck even macaroni would work, truly anything you or the kids like. Squeeze a bead of glue in the rubber ring of the canning lid. Simply sprinkle the glitter over the glue and let it dry. 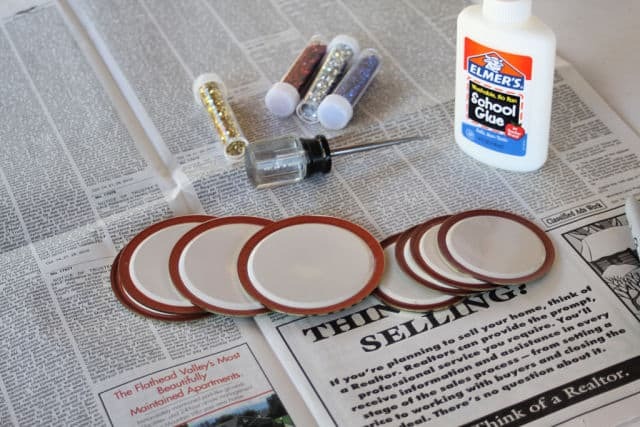 If desired, glue two lids together for a nice layering effect. Punch holes into the canning lids with an awl. This works great and is easy peasy for single lids. 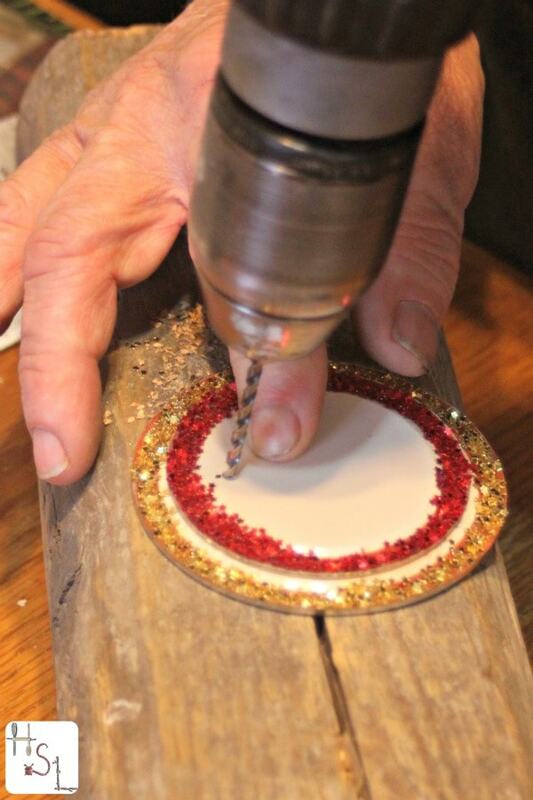 If you want to stack a couple of lids for a more decorative effect, a drill will work easily and more uniformly. Both the drill & awl will leave a bit of a sharp burr around the hole. To keep that sharp edge from hurting someone, simply tap each side gently with a small hammer until it is pressed flat. We used a small drill bit because I know that I'll use bits of leftover yarn to attach them to gifts. Drill larger holes for ribbon, etc. If messing with a drill is something you don't want to do, double stick mounting tape will work beautifully and is of course safe for kids. Use a permanent marker or even a paint marker to write on the lids. I haven't found anything else that works. 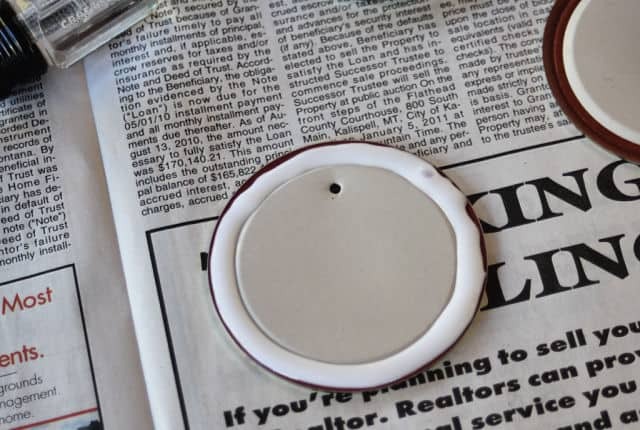 You could also glue some decoration or paper labels into the center. Like I said, this is a simple project, that's all there is to it. It's simple but yet lovely and sure to tickle folks on you gift list. 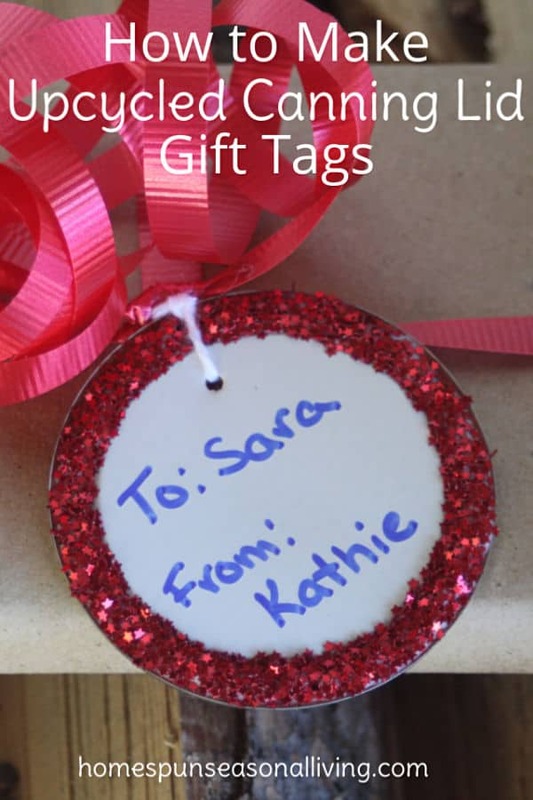 So save those single-use canning lids to use as gift tags for this holiday season, birthdays, and more. While they work on any gift, they do really make a jar of home-canned gifts look especially amazing. What a cute idea, Kathie! Thanks for sharing it with us. I, also, save my used lids, mostly using them, as you do, for storing dry goods and such.